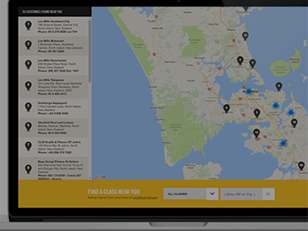 SC Fitness is pioneering a data-driven approach to group fitness to gain unprecedented insights into member experience. 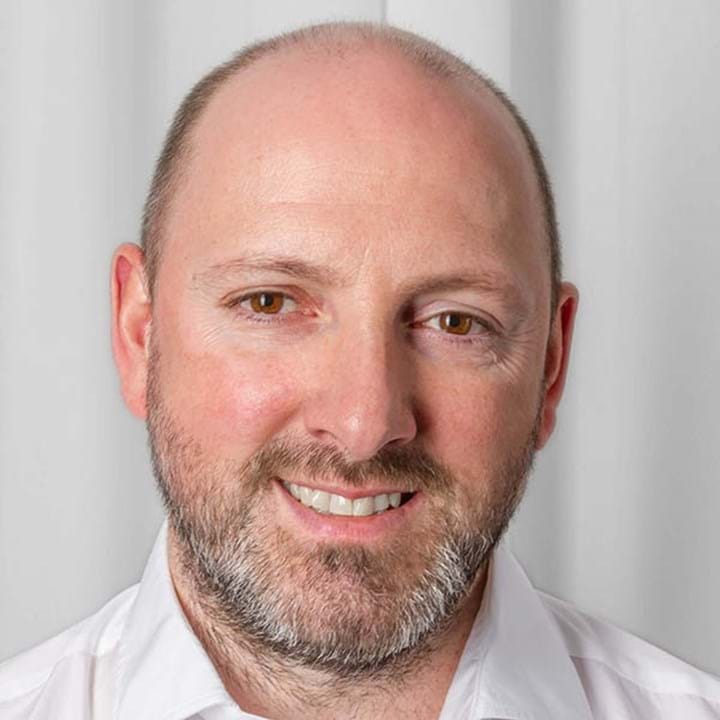 Head of Customer Experience José Teixeira explains how the chain’s data revolution has transformed everything from Instructor pay, through to group fitness loyalty schemes, with group fitness now accounting for 44% of club visits. Hi José, tell us your story? My name is José Teixeira and I’m Head of Customer Experience at SC Fitness – a group of health and fitness clubs in Portugal. I have a degree in Sports and Physical Education, and I started in 2004 as a sales consultant, moving up through the ranks as a Club Manager, Area Manager and Operations Director. I was also a volleyball and beach-volleyball professional athlete 20 years ago. How would you describe SC Fitness as a club operator? It’s an interesting set-up as SC Fitness has 3 brands: Solinca (mid-size), Pump (low-cost) and One (premium). Solinca operates 20 clubs with more than 60,000 members. Operating in the ‘Value for Money’ segment, Solinca is clearly focused on developing customer experience, investing a lot in data analysis/predictive models and defining action plans by combining in-club and out-of-club interactions. Our average membership lifespan is over 20 months, and our growing retention rate is now close to 60 per cent. Pump operates 9 clubs with more than 25,000 members. 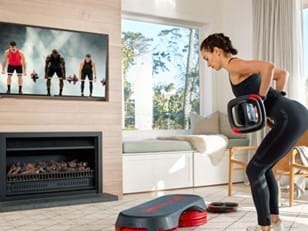 Pump’s concept was very clearly defined as premium low-cost, and the brand’s success shows that this combination of no-frills with a strong group fitness focus works well in the Portuguese market. Our premium offering – One Lagoas – is a health club built to service a business park of almost 100 companies; it was previously owned by one of the top construction companies in Portugal. It currently has more than 2,000 members paying monthly fees above €60 (expensive in the Portuguese gym market) and we’ve recently given the club a rebrand as we prepare to expand the Lagoas concept. 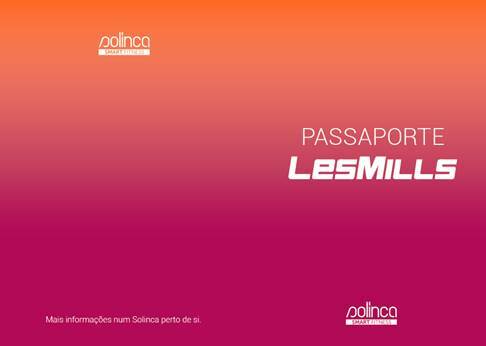 This will give us a strong footprint across the Premium Low Cost (Pump), Mainstream/Value for Money (Solinca) and Premium (One) segments and support our aim of being the market leader in Portugal, with Solinca and Pump as two of the country’s top three gym brands. Sounds like a complex organisation – what’s the overarching SC Fitness philosophy? Our philosophy is to find our Everest and climb it! Why? Because it’s there! To achieve our goal of being the undisputed leader in physical activity and well-being, we need to provide a great experience to every type of consumer across all of our brands. That is what will take us to the summit. What role does group fitness play in your business and how does it help you to be successful? Group Fitness forms a vital part of our member experience – both as a social driver and a fun way to get great results. Group Fitness brings an incredible buzz and energy to our clubs, boosts member satisfaction and loyalty, as well as providing excellent training (via Portuguese distributor Manz) to our Instructors. Les Mills programs form a big part of this operation – we have all of the classes in some of our clubs and a minimum of 6 in each – and is vital for our member experience. How would you describe your company’s approach to using data to derive business insights? We’re developing our customer experience by focusing on data and consumer behaviour, rather than being biased by our own opinions. Firstly, we analyse our customer journey, see how they navigate through touchpoints, then anticipate their needs, expectations and desires. This helps us understand what’s working and what’s not, so we can improve the journey and redesign the experience. We have partners who work with us like InovRetail, providing data science solutions and digital tools that deliver quantifiable insights and actionable recommendations which have a direct and sustainable impact on our key business metrics. Our performance platform is designed to drive value from the rich insights produced from our data science, based on a predictive engine that provides a unique platform to connect our business. What are some of the standout group fitness findings from this data? while members who attend less regularly but mainly (or only) do group fitness classes stay twice as long. 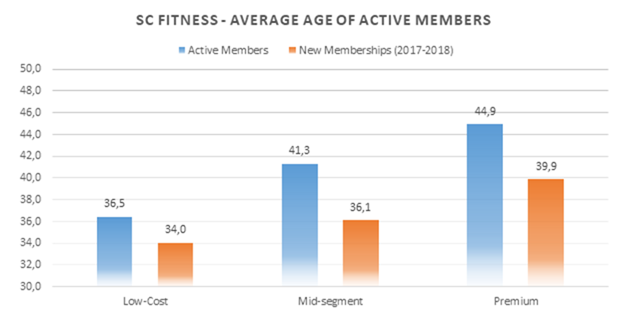 For each new member marketing campaign we run we measure membership lifespan, attrition and the percentage of clients still active and we consistently see that members who leave the quickest are those who use our club less and also attend fewer group fitness classes. How do you take these findings and convert the insights into practical actions? 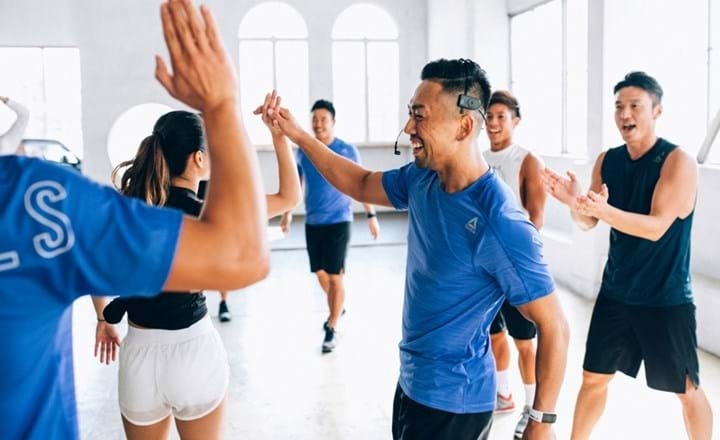 The data clearly shows the business benefits of group fitness, so set out a series of five calculated to get more people involved in group fitness and increase attendance. We integrated the Les Mills Group Fitness Management model into our sales department processes, placing a greater focus on our group fitness and starting club tours in the studios. We also developed a retention pitch to get them more involved with the SMART START campaign. We developed an onboarding plan for new users to support their uptake of group fitness. 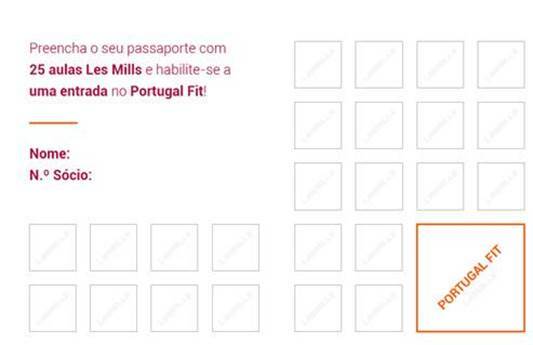 We developed a Les Mills Passport (see below) that gives members the opportunity to collect loyalty stamps each time they take a group fitness class, with the chance to win prizes. We set new KPIs (key performance indicators) for our senior group fitness instructors, centred on group fitness usage as a percentage of total club attendances, a group fitness scorecard and member satisfaction numbers based on our group fitness schedule. We’re investing over €200k per year in Instructor training and development, supporting them in Les Mills Quarterlies, Initial Training Modules and Advanced Training. 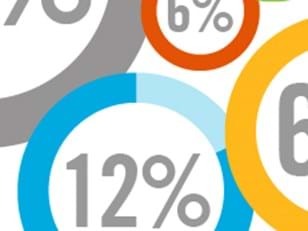 How do you gather the data on your member’s usage habits to unearth such insights? We’ve been able to move away from manual counting, so we now use autocount software to monitor group fitness attendances and wider gym footfall. This is in the form of a check-in kiosk where you scan your membership card ahead of each class and our member app which we have at Pump gyms. Using this data, our software produces an integrated scorecard that measures weekly group fitness attendance, % facility visits delivered by group fitness, average attendance per class, individual class performance versus target, class ranking and program performance. It’s linked to our payroll system, so payments to our group fitness instructors are calculated in accordance with their scorecard results, with top performers being better rewarded. We also use our predictive model to analyse membership lifespan within each segment of clients and usage pattern, to give back the information to our team. We are launching a new interaction model and CRM this January, focusing on customer interaction, group fitness presence increase and churn risk assessment. What have been the best outcomes from your data-driven approach to group fitness? Member satisfaction with our group fitness offering has been one of the most consistent and impressive performance indicators. We measure it monthly on a scale of 1 to 10 (along with other indicators such as Net Promoter Score, staff interaction and cleanliness) and it has been climbing steadily, currently tracking 17% above our average Net Promoter Score. 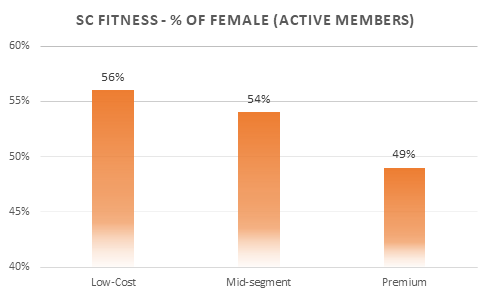 In addition, we’ve seen group fitness attendances increase by 3% (YOY), now representing 44% of all our gym visits. Les Mills classes make up almost half of our group fitness classes each week and have a higher average attendance than our other classes, so they’re helping to drive this growth.